Ferrara is still surrounded by more than 9 kilometres of ancient walls, mainly built in the 15th and 16th centuries. 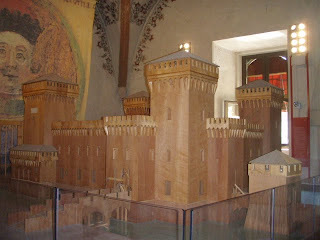 Together with those of Lucca, they are the best preserved Renaissance walls in Italy. 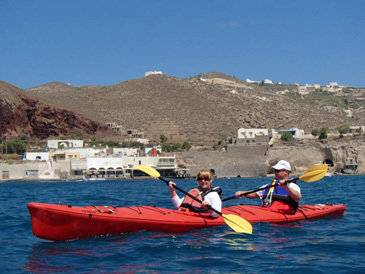 Today, you can walk or even take a bicycle ride along the top of the walls. 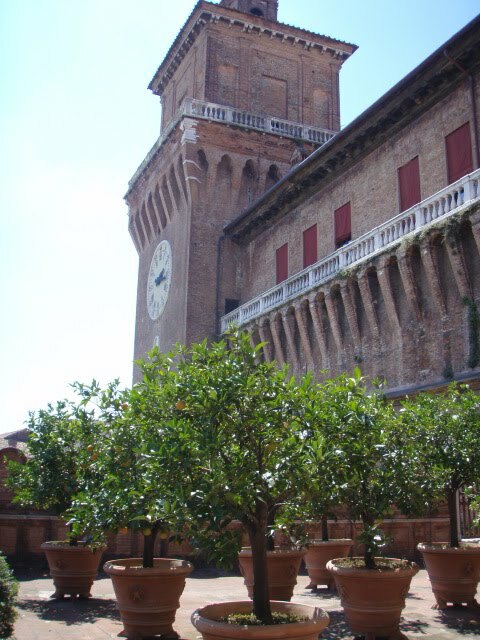 The most iconic building of the town is the imponent Castello Estense, which is situated in the very center of the city. Surrounded by a moat, it has three entrances with drawbridges fronted by brickwork ravelins and four massive bastions. It was built starting in 1385 and partly restored in 1554 after it suffered damaged from the earthquake of 1507 that severely shook the city for more than a year. The first of the Gothic rooms on the ground floor is certainly the most beautiful, with rich decorations of clusters of flowers running along the ribs of the vault. The room is dedicated to Nicolà II d’Este, his portrait on the hanging tapestry, who built the castle. A magnificent reconstruction of the castle in wood in the early years of its existence fills the room. 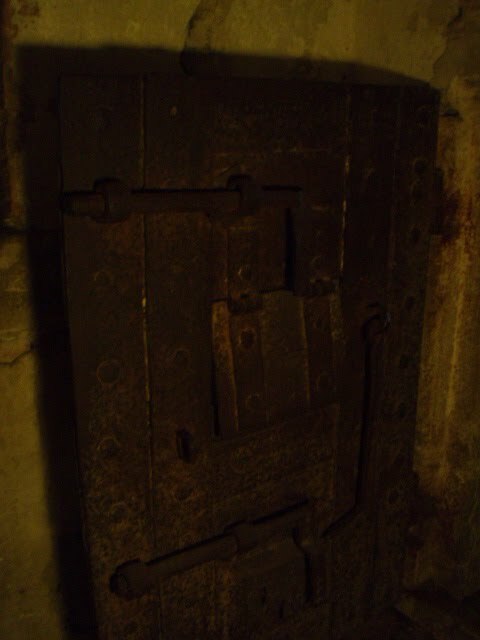 Also on the ground floors are several dungeons. The first, the Don Giulio Dungeon, was a small cell and torture chamber for Giulio d’Este, the illegitimate son of Ercole I d’Este, Duke of Ferrara and brother of Alfonso I and Cardinal Ippolito. The two brothers both fell in love with the same woman, Angela Borgia, cousin of the Duchess Lucrezia. This gracious and much-courted maiden granted her preference to Giulio; the Cardinal ordered his soldiers to seize, kill, and stab Giulio. The order was partially carried out, as Giulio brutally beaten with both eyes stabbed. 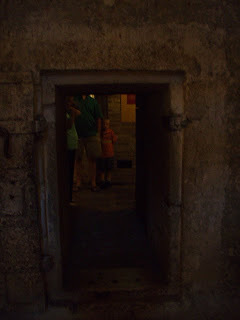 In 1506 Giulio was imprisoned in the dungeon, where he served 63 years. The other notable dugneon was is the cells that held the unlucky lovers Ugo and Parisina. Parisina Malatesta was the second wife of Marquis Niccolò III. After seven years of marriage, Parisian ended up falling in love with her stepson Ugo, son of the Marquis and Stella dei Tolomei, and he with her. The two were discovered, subjected to a rapid trial and finally beheaded. In Ugo’s, on the ceiling is prisoners’ writing done with candle smoke. Out of the depths of the dungeons, the first floor brings you to the lovely Garden of the Oranges and the sweet smell of orange blossoms. Directly inside the courtyard is the The Ducal Chapel . 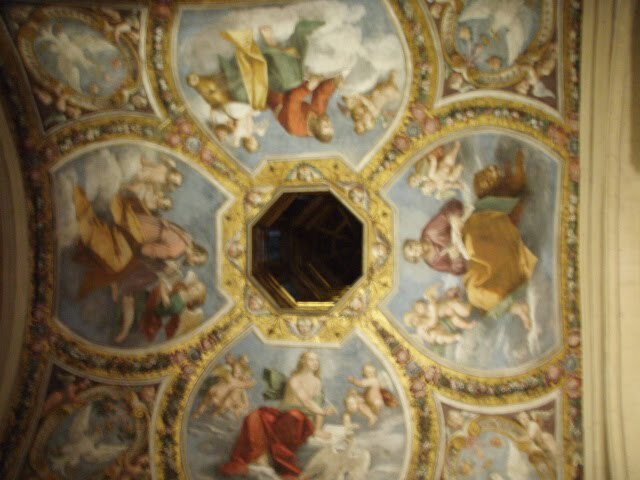 The vault is decorated with frescoes portraying the Four Evangelists surrounded by cherubs, each of them respectively recognizable by the lion (Saint Mark), the eagle (Saint Luke), the angel (Saint Matthew) and the bull (Saint John) in accordance with the iconographic tradition. The Coat of Arms room displays two series of decorations from the Papal States period. The older is a long series of coat of arms with the Papal Tiara and the Keys of St. Peter; one part is taken up with the coats of arms of the Popes from Clement VIII (1592-1605) to Pius VI (1775-1799). Beneath this is a decoration with the coats of arms of the Cardinal Papal Legates who had their residence in the castle. Not far from the castle are the anciet City Hall and the Cathedral of Saint George, begun in 1135, when the Romanesque lower part of the main façade and the side façades were completed. According to a now lost inscription the church was built in 1135 by Guglielmo I of Adelardi (d. 1146), who is buried in it. The sculpture of the main portal is the signed work of the artifex Nicholaus, mentioned in the lost inscription as the architect for the church. The upper part of the main façade, with arcades of pointed arches, dates from the 13th century, while the lower part of the protiro or projecting porch and the main portal are by Nicholaus. The recumbent lions guarding the entrance are replacements of the originals, now in the narthex of the church. 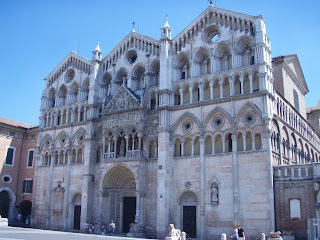 Great pics, I've visited Ferrara last weekend. 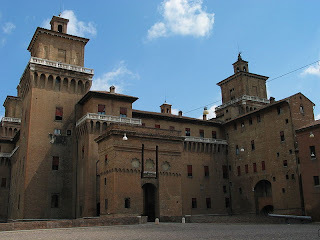 I <3ed Castello Estense. Sucha cool castle, yet it's weird not many people know about it… I went there on beautiful sunny saturday. but the castle was so empty felt like I was having a private tour.